If you are an accomplished skier or snowboarder and are thinking of taking a gap year away that combines your love of winter snow sports, why not become a ski or snowboarding instructor? The best advice Gapwork.com can give to you, is to look for an organisation who offers such training at your chosen gap year destination. 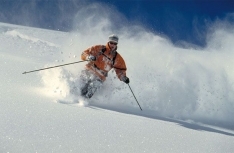 For example, Oyster offer ski instructor training courses in Whistler, Canada. They offer paid work and will also guarantee you work instructing kids once you are qualified. This type of work will mean that you will be paid enough to cover your accommodation and food as well as some left over for some socialising! Typically, your training to become a Level 1 Ski Instructor will begin once you have arrived and unpacked your belongings! The course will last for an average of 4 weeks and you will be taught by Level 4 Instructors. The course will be intensive so you need to be prepared to work hard during the 4 weeks and be focused. 2 out of the 4 weeks will be on-snow training so that your techniques can be assessed, worked on and improved. At the end of the four weeks you will be able to take your Level 1 CSIA exam. This is a qualification that is recognised throughout the world, so remember that this qualification will give you the ability to teach in other countries as well as looking great on any CV. Once you have achieved your Level 1 entry, you can then look to progress and be trained to become Level 2, 3 and 4 qualified as you gain in experience. Oyster offers just one ski instructor opportunity but there are plenty of other organisations that can also help you train to be an instructor. Such as Skiforce who offer a BASI course and EA Ski & Snowboard who will train you in locations as far away as New Zealand, Canada, Japan and the USA. Want to know more about becoming a ski instructor? Why not check out our ultimate guide on finding a gap as a ski instructor as it has a number of questions and answers relating to finding gap year work in this area and can set you on the path to becoming a ski instructor.